In boiling the elderflowers with the milk I became quite aware of their fragrance, however it was not to perfumed. While the milk was seething I prepared the dough. I was a bit unsure if it was meant to be thickened or made firm with the mixture of eggs and flour. 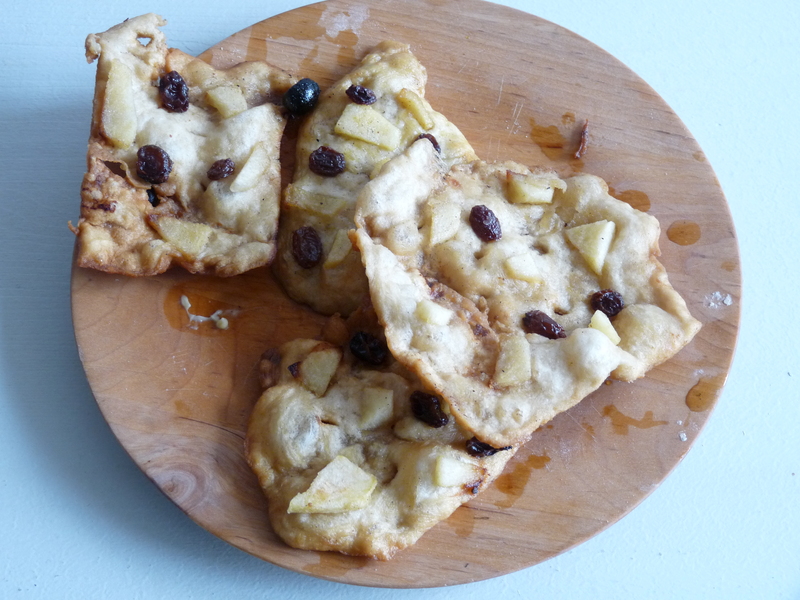 For the dough I used wheat flour, which would have been the probable choice in a dish like this. As I was preparing the dough It became clear to me however that “cutting dough into the shape of little worms” was actually a description for the chef to make noodles ( or some kind of pasta). As I felt that the milk had seethed enough I drained of the flowers, returned the milk to the pot, added a small knob of butter, some salt and a part portion of the noodles I had done. As they cooked picked them up with a regular wooden spoon – the slotted spoon, that is made according to a medieval find, was to big to fit in the pot. The noodles reminded me of German spätzle, but were salty with a hint of elder. Still, some milk remained so I put in the rest of the uncooked “worms”as they cooked, the flour from both batches of noodles startened to thicken the milk, becoming more sauce like. Though this was not entirely what I had expected it did strike me as fitting the description of a pudding. 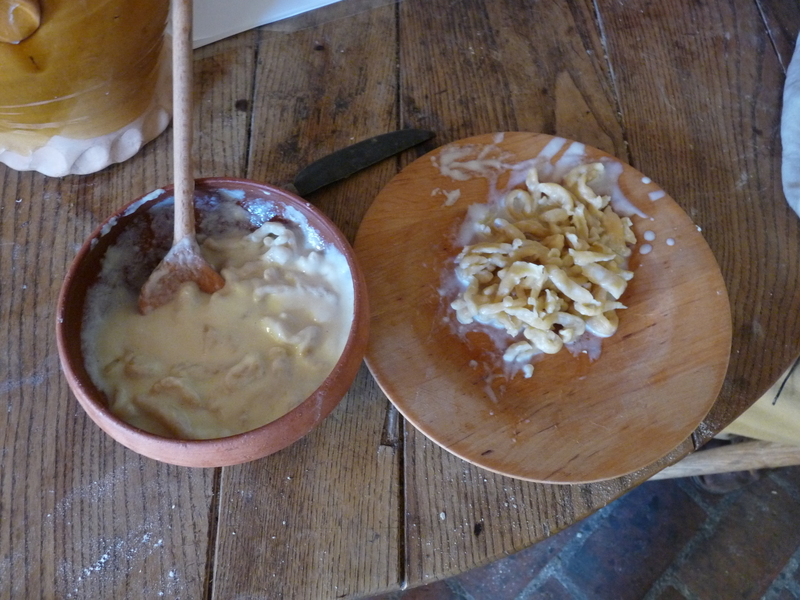 In fact, the mixture of butter, salt, milk and flower almost made me end up with an elder bechamel with noodles. In this mixture the taste of elder was much more prominent, and it was also the more preferred dish by my testsubjects (the employees of the museum). When testing the dish it struck me that both the noodles by themselves or the actual pudding would have fitted excellently together with a spitroasted chicken. Though it is a bit odd with a savoury dish with elderflowers to the Swedish palate, it was really enjoyable.